I see many parents with advanced cancer. Scientific research tells us some things about how parents cope, but I was interested to try to understand more about how parents responded to their children, and find out what suggestions they had for other parents about how to help their children. 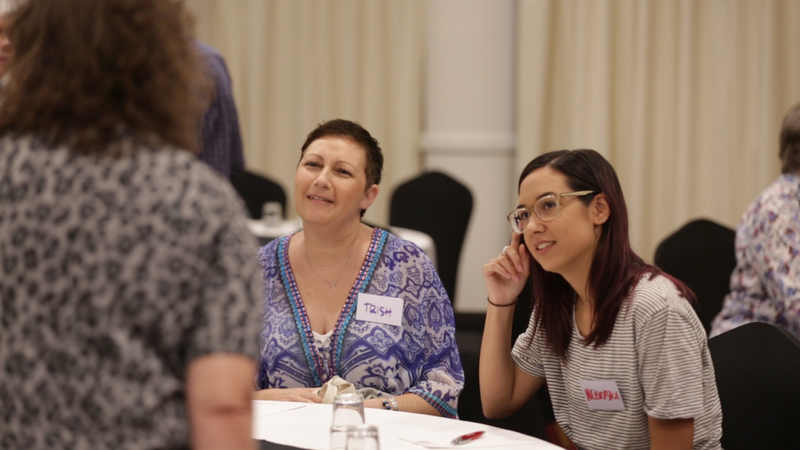 The Breast Cancer Network of Australia was very helpful in letting members know about the project, and eight women with advanced breast cancer agreed to speak with me. The ages of the women ranged from 39 to 57 years. All but one of the women was married. Two women had one child, one woman had 4 children, and the others each had two. Ages of children at the time of diagnosis of advanced disease ranged from just under 2 years to 13 years. The time since diagnosis of advanced disease ranged from 8 weeks to 10 years. Honesty and trust were big issues. The women all felt that if they weren’t honest, even if things were difficult, children would be more stressed and uncertain. While tempting to downplay things, secrets were seen as making things more frightening for children because they guessed about things, often imagining them to be worse than they really were. Especially for younger children, women were aware that their children’s needs for information changed over time. For very young children, talking about something that might happen many months away was not helpful. Women said that they needed to update things for their children if their health changed, and also to give them information in amounts they could understand. Having some structure and routine was seen as very important, as it made children feel safer, and more grounded. Women felt that it gave the children some confidence about coping with life, although routine was often difficult because of changing treatments. The attitude of women about this was remarkably consistent. Women felt that excluding children made it more likely that they would imagine the worst. Although it can be upsetting, it is also about treating them with respect and allowing them to see what is happening. 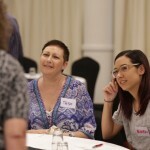 Women found it helpful to connect with others facing advanced cancer, often through a support group. Generally this was seen as a very precious thing, but it could also be painful if other women in the group became sick. Several women felt that over the years they had tended to downplay distress or concerns so that others around them wouldn’t be upset, but it could be quite liberating to admit that things were tough and allow people to be supportive. The big message from women was that you don’t have to be positive to protect other people. In addition to the need for emotional support, practical assistance was an important issue. Most women felt that getting help didn’t mean that they were less independent, in fact it helped them feel more in control about where they spent their energy, especially if they weren’t well. Not all of the children were of school-age. The mothers of school-aged children felt that if the school was supportive that would make things easier for their child. Sometimes the school counsellor was able to offer support for a child. The women also said how important it was to check on what other children at school were saying, so that they could correct mis-information. The full reference which gives more details about the interviews is: Turner J, Clavarino A, Yates P, Hargraves M, Connors V, Hausmann, S. Development of a resource for parents with advanced cancer: What do parents want? Palliative and Supportive Care 2007;5:135-145. If you want to help, ask what would be helpful. Practical tasks – shopping, ironing, mowing the lawn, making a meal, walking the dog, hanging the washing – are often the ones that take the effort, energy or time that someone who is having treatment doesn’t have.